If you are interested in Presenting out our Networking Groups, please fill in the details below. 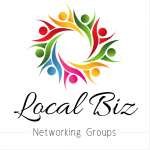 Local Biz Networking Events has an audience of Business owners that you can showcase your service directly to your target market. We ask that this is purely an Educational based Presentation and not a Sales Presentation. It is a great opportunity for you to engage as a Leader in your field. Of course organic sales and referrals are made through the connections made through our group on connection and trust. - Provide a Presentation brief. - Provide a Speaker Bio and Photo for promotion. - Personal Introduction video to promote on our social media platforms are welcome. - Advise Social Media pages for tagging. - Promote the Event on your Business page. - Presentation is 20 minutes. - Handouts, presentation survey welcome.